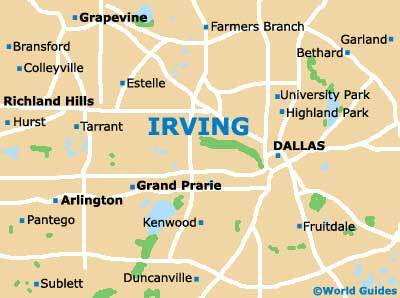 Located on the northeastern side of the state of Texas, the city of Irving calls Dallas one of its closest neighbors. 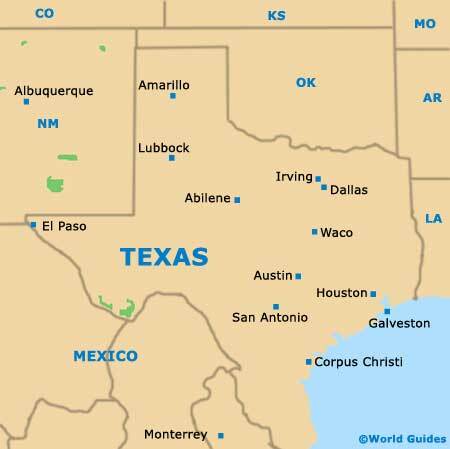 In fact, Irving resides within the metropolitan area of Dallas-Fort Worth-Arlington, where it comes with a population topping 200,000 residents. Irving enjoys good connections to the city of Dallas, which is less than a 30-minute drive to the east and reached via roads such as the Irving Boulevard (Texas State Highway 356) and Highway 77. On the southerly side of the city, the Tom Landry Freeway (Interstate I-30) heads in an east to west direction, linking both Dallas and Grand Prairie, respectively. 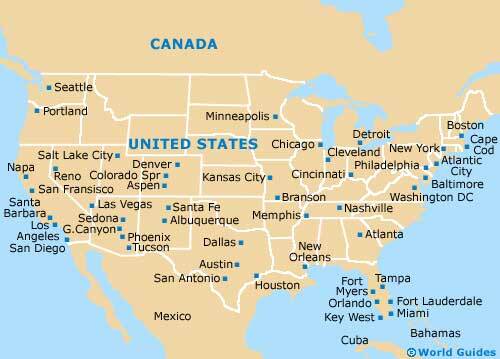 Continue further west and you will eventually reach the cities of Arlington, Fort Worth and White Settlement. Finding your way around the streets of Irving is unlikely to present any major problems, although maps are always handy if you are driving. Most main roads are laid out as a grid, with prominent thoroughfares including those of Belt Line Road and MacArthur Boulevard (north to south), as well as Walnut Hill Lane and Rochelle Road (east to west).